Hearing-impaired iPhone owners will soon have a smaller, more compact choice for handset-connected hearing aids as the first batch of "Made for iPhone" hearing aids are poised to roll out without the need for intermediary transmitters. Apple has worked closely with Copenhagen, Denmark-based GN ReSound to bring the Danish audiological company's LiNX hearing aids to market, according to a Monday report from Reuters. The LiNX represents not only the first Made for iPhone hearing aids to come to light since the program's announcement two years ago, but the first hearing aid of any type that can connect directly to a smartphone, bypassing tertiary "streamers" that act as intermediary transmitters between a Bluetooth-equipped device and existing wireless hearing aids. The hearing aids communicate with Apple devices in the 2.4-gigahertz band using Bluetooth 4.0's low energy mode, the same power-sipping wireless technology that underpins Apple's iBeacons microlocation services and synchronization for connected devices like Fitbit's activity trackers. The hearing aids can be used to stream music and as a two-way headset for receiving phone calls, and owners are able to adjust the hearing aids' settings through a companion iOS app. Similar Made for iPhone products from competing companies like Minnesota's Starkey Technologies and Smørum, Denmark's William Demant are also said to be on the way, though official announcements have not been made. LiNX is expected to ship early in 2014 at a cost of just over $3,000 per hearing aid. Apple appears to have dedicated a significant amount of resources toward device accessibility for hearing-impaired users. 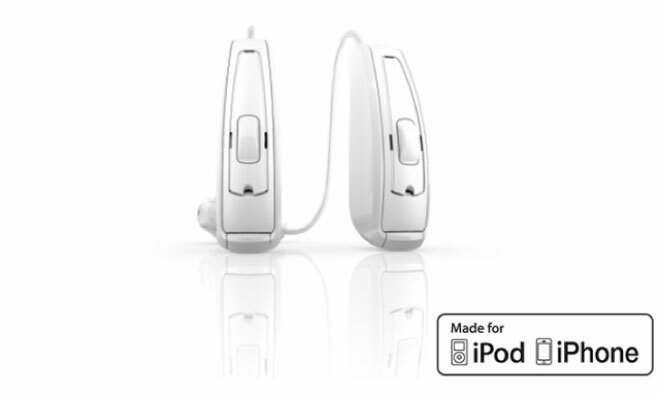 According to Reuters, "frequent visits" were made in both directions by Apple and GN ReSound personnel in an effort to refine communication APIs and extend battery life in the hearing aids, where space is at a premium. In addition, Apple is the owner of multiple patents that define a system in which the owners of hearing aids— and even the hearing aids themselves— could communicate with one another to share information on how best to configure the hearing aids in specific circumstances. Most modern hearing aids are programmable— that is, the parameters of audio capture and amplification can be tuned to deliver the best performance in different environments. A coffee shop, for example, requires the hearing aid to process input differently than it might in a symphony hall. 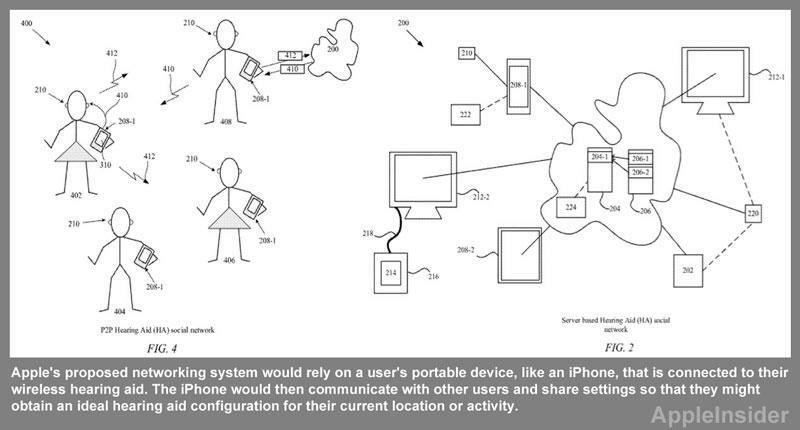 Apple imagines a future in which hearing aids connected to iOS devices could detect their location and automatically prompt the user to switch programs based on the experience of other hearing aid users in the same place. When combined with other Apple technologies like the iBeacons microlocation service, these advances could lead to a notable increase in quality of life for hearing-impaired iPhone owners.